There has been a spate of attacks on sheep by dogs. 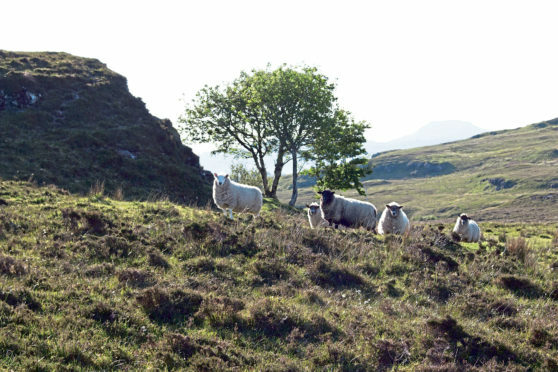 What is the Scottish Government playing at with its planned budget cuts to Less Favoured Areas (LFA) support for Scottish farmers? A 20% cut in 2019 followed by the prospect of an 80% cut in 2020 could have devastating consequences for our struggling hill farmers. Farmers are shocked to discover that our own government is slashing farm support while at the same time the UK Government is guaranteeing farm support unchanged until 2022. How on earth has the Scottish Government got itself into such an embarrassing predicament? As recently as the last NFU Scotland conference, Farm Minister Fergus Ewing was vowing to defend LFA support. claiming his Government would “not empty our hills and our valleys, and see land and communities abandoned”. Yet 10 months later, it is his Government proposing to slash LFA support. Embarrassingly, as a Cabinet Minister he would have agreed the budget before it was published. At AgriScot he claimed a big bad boy “the EU” done it, then for good measure blamed the usual suspect – big bad Westminster. So what’s the truth and what is the solution to retain LFA support payments? The threat to LFA support is not new and in 2003 the European Court of Auditors had reported wide-scale abuse of the scheme. They found there was no consistent criteria used by Member States to define less favoured land and highlighted Luxembourg, which despite having some of the best arable land in the EU, the whole country was LFA. In response the European Commission drew up a list of biophysical criteria which countries must use to define LFA in future. It gave Member States until 2018 to switch to the new system called Areas of Natural Constraints(ANC). In 2010 the Scottish Government drew up new ANC maps which showed some small changes to the current LFA area. So it has had eight years to prepare for the day when LFA would be phased out and ANC introduced. Why has the Scottish Government failed to implement the new scheme? Why have they risked inflicting financial hardship on hill farmers by their failure to take action? Other countries are getting on with it. The Irish Government is phasing in the switch from LFA to ANC payments over the next two years. It also threw in an extra £45 million to smooth out the problem of winners and losers in the changeover. France is doing the same. Why is Scotland in such a mess with our Farm Minister running around looking for last minute derogations from the EU to extend the deadline? That won’t solve the problem unless he is hoping Brexit will save him from the EU rules. It is also a high risk strategy, as the money will be lost from the budget by then. Surely it is time for the Scottish Government to stop blaming everyone else, introduce a new ANC scheme, and throw in some extra cash to help smooth the way. That will secure the future of our hill and upland farmers. Otherwise they will conclude the Scottish Government’s warm words on future hill support are not worth the paper they are written on. * George Lyon is a former Liberal Democrat MEP. He is a senior consultant for Hume Brophy and sits on the board of levy body organisation AHDB.